Want to realize your chess potential but don’t have much time to study? 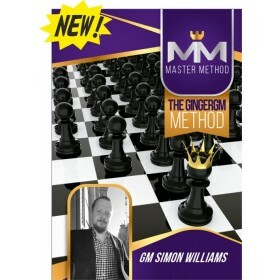 In this comprehensive 30 hour course, “GingerGM” Simon Williams reveals the training secrets and shortcuts that helped him become a GM with a fraction of the time and effort it takes most people. You’ll learn how to get an opening repertoire that fits your style and become an expert in it, not by memorizing a ton of theory, but by absorbing the key patterns. A major source of dropped points is missing tactical ideas – overlooking threats and simply not seeing winning combinations. GingerGM, a master of attacking play, will explain how to cure this problem! Want to realize your chess potential but don’t have much time to study chess strategies? 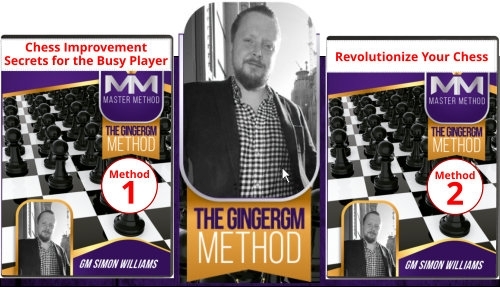 “Ginger GM” Simon Williams has you covered. 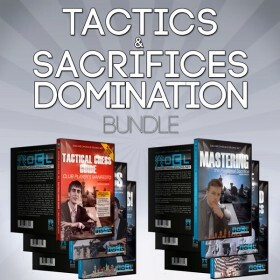 In this comprehensive 15 hour course, Simon reveals the training secrets and shortcuts that helped him become a GM with a fraction of the time and effort it takes most people. You’ll learn how to get an opening repertoire that fits your style and become an expert in it, not by memorizing a ton of theory, but by absorbing the key patterns. Learn when and how to launch an attack in the middlegame, from the GM who models his game on Mikhail Tal’s! And piece it together with a positional understanding that allows you to get those great positions in the first place. 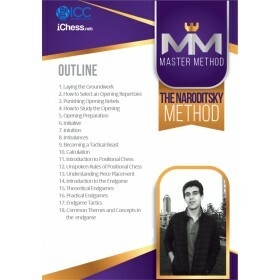 Add rarely discussed tips on rapid, accurate calculation in the chess middlegame, player psychology, and killer endgame instinct and you’re ready to become one of the most feared competitors around – even if you only have 1 hour/week to study. HOW DOES THE GINGERGM METHOD CREATE SUCH RAPID IMPROVEMENT? Building a Solid Foundation: GM Williams begins by helping you identify your unique strengths, weaknesses and playing style. Once armed with this vital self-knowledge you’ll easily choose openings or positions that are comfortable for you to play and easier for you to win! [Bonus #1] Challenging Puzzles designed to test your knowledge to the limit! [Bonus #2] Course Summary in PDF format makes navigation a breeze, assuring that every lesson is easily accessible! [Bonus #3] Complete PGN File so you can print or browse the ideas on your favorite chess software. [Bonus #4] Exclusive Q&A Video with Simon where we ask him eye-opening questions about his rapid improvement method, memorization vs understanding and the use of computers. A major source of dropped points is missing tactical ideas – overlooking threats and simply not seeing winning combinations. Now GM Simon Williams, a master of attacking play, explains how to cure this problem. Simon, aka “the Ginger GM”, builds on the ideas from his first Ginger GM Method and now focuses on the most important skill in chess: tactical ability. In this new 15 hour course, Revolutionize your Chess, Simon reveals all his favorite attacking secrets for crushing your rivals in spectacular fashion! Learn how to get fantastic positions with a complete attacking repertoire, focusing on the must-know strategies and tactical motifs. With your chess pieces in aggressive formation early in the game, you will be ready to destroy your opponents! The second part of the course helps you seal the win. Learning from the games of such giants as Tal, Alekhine, Botvinnik, and Karpov, you will learn some advanced methods for finding the very strongest move. GM Williams teaches you innovative chess strategies concepts such as “the awakening”, and will share his #1 secret for improving your visualization skills! 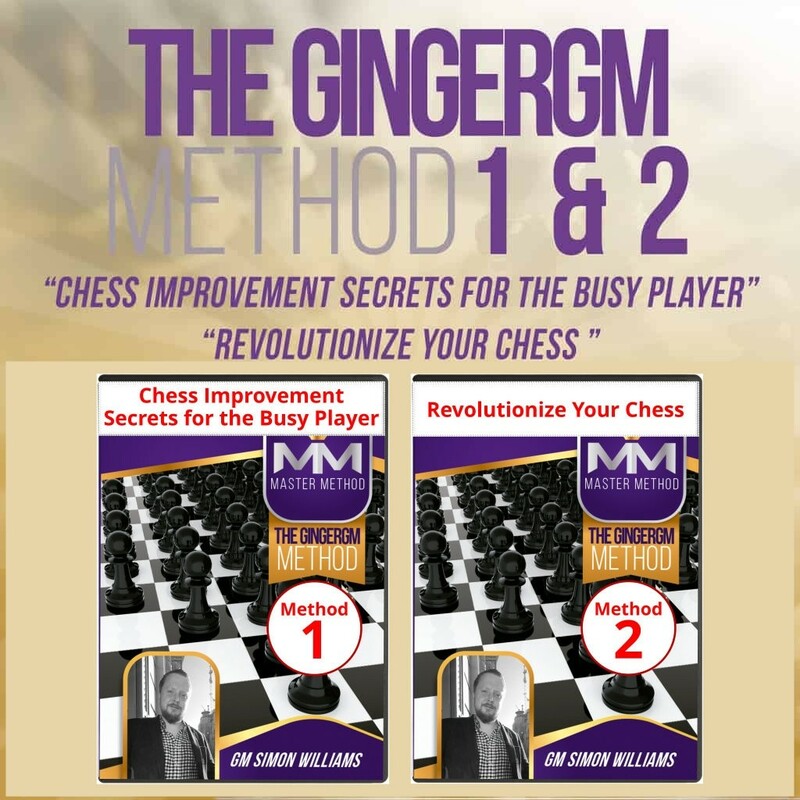 Jump to the next level with GM Simon Williams’ Revolutionize your Chess! Typical Patterns and Keeping the Pressure on! GM Simon Williams (aka Ginger GM) is an English chess grandmaster, author, and commentator. He obtained Grandmaster the Grandmaster title 2008, by accomplishing the final norm at the Hastings International Chess Congress 2005/2006 and the 2500+ rating at Hastings 2007/2008. His highest rating so far is 2550, achieved in November 2009. In 2009, he organized the Big Slick International in Purley, London, which comprised an invitational GM tournament and FIDE Rated Open. In 2003, he finished second at the British Chess Championship. In 2005, he won the British Blitz Championship. In 2009, he finished second at the British Chess Championship. In 2009, Williams finished equal first at the Southend Chess Congress all-play-all tournament. 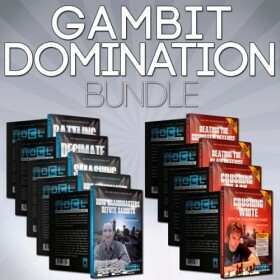 If you’d like to improve your overall chess skills then this collection is just right for you. The Ginger GM, Simon Williams, will show you how to create winning plans with a solid chess strategy. GM Simon Williams will walk you through some of the most common mistakes the club players make and will also tell you who to overcome those type of mistakes in a 3 part series of videos, also included in this package. 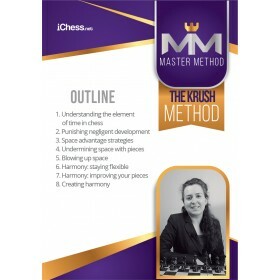 Learn how to get fantastic positions with a complete attacking repertoire, focusing on the must-know chess strategies and tactical motifs. With your chess pieces in aggressive formation early in the game, you will be ready to destroy your opponents!